Behind Silver Explorer's ice-strengthened hull there exists a degree of luxury unmatched by any expedition cruise line. 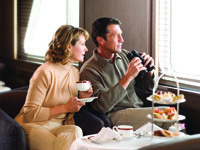 Enjoy exceptional amenities on your Silversea Expedition voyage. All Ocean-View Accommodations: The largest average accommodation size of any expedition cruise ship, each with private bath and an elegant ambiance of unrivaled luxury. A Butler for Everyone: Butler service in every suite, every stateroom. Complimentary Adventures Ashore: Unearth fascinating dimensions of culture, history, science and the environment through a diverse collection of complimentary shoreside experiences and distinctive onboard events. Expert Expedition Team: Travel with historians, biologists, anthropologists, geologists, botanists, ornithologists, naturalists, photographers and destination experts at your side as you discover remote and remarkable environments. Complimentary Beverages Served Throughout the Ship: Choose from a premium selection of fine wines, champagnes, spirits, bottled water, soft drinks and specialty coffees on board your luxury cruise– all with Silversea’s compliments. 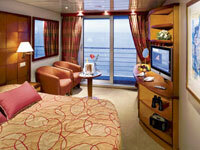 Gratuities Included: All onboard gratuities are included — none are ever expected. Open Seating Dining: When and with whom you dine is up to you. Casual Informal Attire: No tuxedos or formal evening dress required. Menus Inspired by Relais & Châteaux: Silversea’s preferred culinary partner. Complimentary 24-Hour Room Service: A late-night snack or full breakfast, lunch or dinner delivered at your request — with no charge and no tipping. 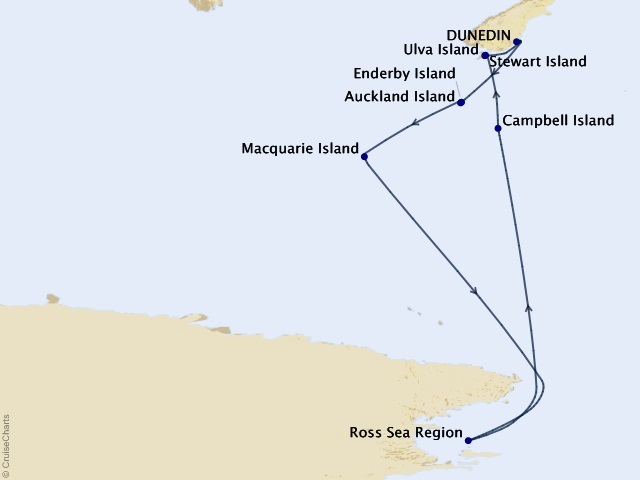 Complimentary Parka: For guests aboard expedition cruise itineraries bound for Polar regions. Water-Resistant Backpack and Stainless Steel Water Bottle: Professional gear for your authentic expedition. There's plenty of deck space for viewing the wonders of the world on Silver Explorer. And when you're not whale watching or sighting something rare and endemic, you might be comparing notes with fellow travelers or exchanging ideas with one of the enthusiastic and knowledgeable guides and lecturers. Silver Explorer offers a degree of luxury unmatched in expedition cruising and some of the largest accommodations of any expedition cruise ship. Select suites even have French balconies or large private verandas. Also included: Butler service, refrigerator and bar stocked with your preferences, down duvets, fine bed linens, European bath amenities, spa robes and slippers, personalized stationery, binoculars, and umbrella. Please click on the appropriate deck below for more information. Cruise Only Fares are in US dollars, per person, based on double occupancy. 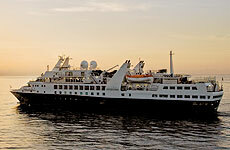 In addition to the rates listed above, guests are also required to purchase Silversea's Air Charter Package on select voyages for an additional charge to be added at the time of booking.